Spectile Ltd the UK’s leading supplier of Architectural Tiling is pleased to announce that the 2nd phase of the new Edge Hill University Sports Centre has officially opened its doors. The £30m development has almost completed with the 3rd phase, the outdoor tennis courts due to open in the next few weeks. The sports centre features a 25m pool, sauna, steam room, 80 station fitness suite, an 8 court sports hall, an aerobic suite, café and associated changing areas. 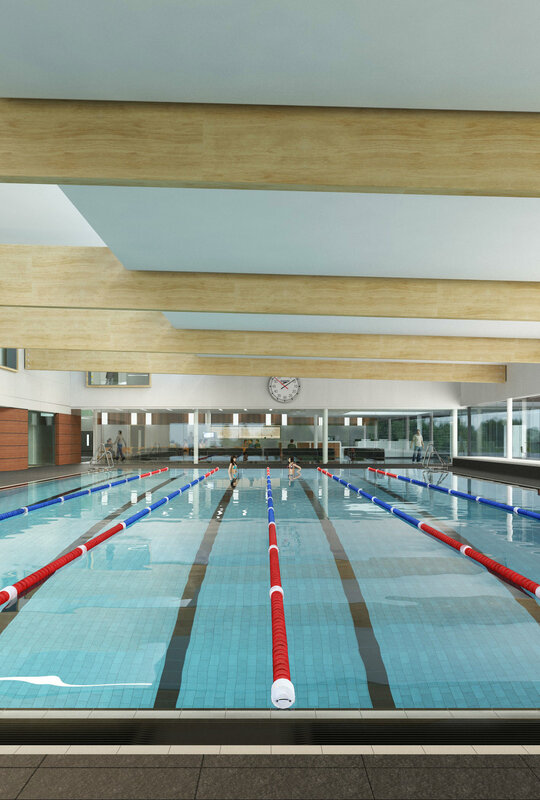 Working in conjunction with NJSR Architects and contractors GF Holding, Spectile were chosen to supply the tiling package for 25m pool. Spectile’s Technical Director commented “We are very pleased to have been asked to supply the tiling package for this project. Spectile’s reputation as the leading tile supplier to the Wet Leisure Industry continues to grow.